Dissenting, Anderson, Paul H. and Page, JJ. A public reprimand is warranted where the Board on Judicial Standards establishes, by clear and convincing evidence, that a district court judge has failed to promote and preserve public confidence in the integrity and impartiality of the judiciary by continuing for dismissal a traffic ticket issued to the husband of a court employee, where the disposition was not unusual but the judge knew or should have known that the employee sought relief for her husband in violation of a county policy. The Honorable Rex D. Stacey, Judge of District Court, challenges the recommendation of the Minnesota Board of Judicial Standards that he receive a public reprimand and be fined ,000 for his ex parte handling of a traffic ticket belonging to the husband of an administrative clerk employed by the judicial district. We publicly reprimand Judge Stacey for his handling of the traffic ticket, but decline to impose a civil penalty. On May 21, 2004, the husband of one of the senior clerks in the Dakota County Court Administrator�s Office received a petty misdemeanor citation for driving after suspension, a violation of Minn. Stat. � 171.24 (2006). The citation was issued in the City of Eagan. The clerk�s husband was ordered to appear on June 24, 2004, at the Apple Valley service center. On May 24, the clerk checked her husband�s driving record, which showed his license had been suspended on February 3, 2004, for failure to pay child support. Although the child support had since been paid, neither the clerk nor her husband realized that reinstatement of driving privileges after suspension requires payment of an administrative fee. Judge Stacey was appointed as a district judge chambered in Dakota County in 1996 and, like other judges in the district, hears cases in the various county satellite service centers several times each year. On June 2, 2004, the clerk approached Judge Stacey, who was in chambers in West St. Paul that day. The clerk testified that, despite a written county policy barring court employees from asking judges for special treatment for �themselves or people they know,� she asked Judge Stacey if there was something the judge could do so that her husband would not lose a day�s work to come to court. The clerk showed Judge Stacey her husband�s driving record, which showed no violations after the year 2000, and told Judge Stacey that the required child support had been paid. The City of Eagan, the issuing jurisdiction, does not require that district court judges consult with municipal prosecutors before resolving traffic citations that do not require a court appearance. It is not unusual for judges in Dakota County to continue for dismissal or stay adjudication of minor traffic violations provided the driver�s record for the preceding two or three years shows no violations. Consistent with these practices, Judge Stacey continued for dismissal the citation for driving after suspension issued to the clerk�s husband. Approximately a year later, an anonymous letter alerted Dakota County authorities to the fact that the same clerk had asked Judge Thomas Murphy to dismiss a speeding ticket for her son. The clerk was placed on administrative leave pending an investigation. Given a choice of resigning or the termination of her employment, the clerk resigned. After learning that the clerk would lose her job over the incident, Judge Stacey contacted David Paull, Executive Secretary to the Board on Judicial Standards, described the situation, and inquired whether the board had any experience with a similar situation in the past. After this call, the board opened an investigation of Judge Stacey. The board filed a formal statement of complaint against Judge Stacey in February 2006. Judge Stacey responded in February 2006 and affirmatively denied that his conduct violated either the Code of Judicial Conduct or the Rules of the Board on Judicial Standards. Pursuant to Rule 10, Rules of Board on Judicial Standards, we appointed a fact finding panel consisting of Hon. Lawrence T. Collins, Hon. Lynn C. Olson, and Tom H. Swain. 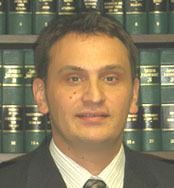 The panel conducted a public hearing over three days in May 2006 at which Judge Stacey and others testified. The panel issued findings of fact and conclusions of law in August 2006, finding that in dismissing the ticket for driving after suspension Judge Stacey was �reaching a legal conclusion and applying the law as he understood it.� Under Rule 4(c), Rules of Board on Judicial Standards, the board is barred from taking action against a judge �for making findings of fact, reaching a legal conclusion or applying the law as understood by the judge.� The panel recommended that the complaint against Judge Stacey be dismissed. On December 13, 2006, the board filed its written findings, conclusions, and recommendations for discipline. Contrary to the panel�s conclusions, the board concluded that Judge Stacey�s conduct violated Canons 1, 2A, 2B, and 3A(7), Code of Judicial Conduct. The board recommended that Judge Stacey be publicly reprimanded and fined ,000. When we impose judicial sanctions, our purpose is not to punish but to protect the public by insuring the integrity of the judicial system. In re Miera, 426 N.W.2d 850, 858 (Minn. 1988). �The sanction must be designed to announce our recognition that misconduct has occurred, and our resolve that similar conduct by this or other judges will not be condoned in the future. We act not to punish the wrongdoer but to restore public confidence in the system and its officers.� Id. We note at the outset that this case comes to us in an unusual procedural posture, in that the findings of fact made by the board differ in key respects from the findings of fact made by the panel we appointed to hear the evidence. In particular, the panel found it was �unclear� whether in her conversation with Judge Stacey the clerk characterized the driver as her husband. In contrast, the board found that the clerk asked Judge Stacey �if there was something that he could do so that her husband would not have to take a day off from work and come to court.� In light of our decision in Murphy, whether Judge Stacey knew the ticket belonged to a family member of a court employee is significant. See Murphy, __ N.W.2d at __, slip op. at 16-17. We have observed that the function of the fact finding panel is to develop the most complete record possible for consideration by the board and this court. In re Miera, 426 N.W.2d at 855. Rule 11(c), Rules of Board on Judicial Standards, requires the board to review the �findings and recommendations� made by the fact finding panel and allows the board to �substitute its judgment for that of the factfinder.� Rule 11(d) requires the board to then make recommendations to us as to sanctions �[b]ased on clear and convincing evidence in the hearing record.� But Rule 11(c) is silent as to whether the board may make findings of fact or conclusions of law that differ from those of the fact finding panel. Nor does Rule 13(f), Rules of Board on Judicial Standards, prescribe the standard of review we are to adopt in judicial discipline cases, particularly when we are confronted with two differing sets of findings of fact and conclusions of law. Rule 13(f) requires us to �review the record of the proceedings on the law and the facts,� to �accept, reject or modify in whole or in part, the recommendation of the board,� and to �direct such disciplinary action as [we] find just and proper.� But Rule 13(f) does not specify what, if any, deference we are to give to the findings of fact made by either the fact finding panel or the board. In the end, we need not address these questions here. Rule 10(c)(2), Rules of Board on Judicial Standards, requires the board to prove by clear and convincing evidence the facts justifying discipline. We conclude that, regardless of the deference to be accorded to the findings of either the panel or the board, the board has proven by clear and convincing evidence that Judge Stacey�s handling of the ticket at issue here violated Canons 1 and 2A, Code of Judicial Conduct, but has failed to prove that Judge Stacey�s handling of the ticket violated any other canon. As we did in Murphy, we place Judge Stacey�s conduct against the backdrop of standard practice in Dakota County. See Murphy, __ N.W.2d at __, slip op. at 12-16. Five witnesses explained to the fact finding panel how petty misdemeanor traffic tickets are handled in Dakota County. According to the undisputed testimony, petty misdemeanor traffic tickets are routinely handled by judges in Dakota County without prosecutorial input. Although most are resolved on the day on which the driver is ordered to appear, it is not unusual for tickets to be resolved on other days and in other courthouses. For example, the witnesses testified, a driver may come to the wrong service center, or on the wrong day. In such instances, judges and court personnel attempt to accommodate the driver. Nor is it unheard of for traffic tickets to be resolved without the physical presence of the driver. For example, the witnesses testified, a driver residing in another state may write to the district court requesting resolution of a ticket without a court appearance. Finally, the witnesses testified, where a driver has no other citations within the past two or three years, judges in the county routinely continue petty misdemeanor citations for dismissal (or stay adjudication) on condition that the driver commit no same or similar offenses within a prescribed period. The board charged Judge Stacey with violating Canon 3(A)7, Code of Judicial Conduct, which bars judges from initiating, permitting, or considering ex parte communications. But Canon 3(A)7(d) expressly permits judges to confer separately with the parties, with their consent, in an effort to mediate or settle a pending matter. The testimony before the fact finding panel was undisputed that prosecutors have given judges in Dakota County wide discretion to dispose of citations, both in open court and in chambers, without prosecutorial input. As a result, we cannot conclude that the board has proven by clear and convincing evidence that Judge Stacey�s resolution of the ticket in chambers, without prosecutorial input, violated Canon 3A(7)�s prohibition against ex parte communications. Nor can we conclude that the board has proven by clear and convincing evidence that Judge Stacey�s resolution of the ticket violated Canon 2B, either because it was done in chambers rather than in open court or because it was continued for dismissal. Canon 2B bars a judge from allowing �family, social, political or other relationships to influence judicial conduct or judgment.� Given the undisputed testimony of the witnesses before the fact finding panel that judges in Dakota County resolve similar petty misdemeanor citations in chambers rather than in open court, we conclude that the board failed to prove by clear and convincing evidence that Judge Stacey�s handling of this ticket in chambers was the product of a �family, social, political or other relationship� between the clerk and Judge Stacey. Likewise, given the undisputed testimony of the witnesses before the fact finding panel that similar petty misdemeanor citations are routinely continued for dismissal in Dakota County, we conclude that the board failed to prove by clear and convincing evidence that Judge Stacey�s continuance of this ticket for dismissal was the product of a �family, social, political or other relationship� between the clerk and Judge Stacey. But Judge Stacey�s disposition of this ticket was unique in one key respect: it was the ticket of a family member of a Dakota County court employee, and in asking Judge Stacey to handle the ticket in chambers, the employee violated Dakota County�s prohibition against court employees approaching judges on behalf of themselves or �people they know.� As we indicate above, the fact finding panel found it was �unclear� whether the clerk referred to the driver as her husband. Judge Stacey testified he has no independent recollection of the conversation, and the clerk explicitly testified that she told Judge Stacey �it was my husband�s ticket.� We conclude that there was clear and convincing evidence submitted to the panel establishing that Judge Stacey knew, or should have known, that the ticket in question belonged to a family member of a court employee. And, although the county�s policy does not apply to district court judges, Judge Stacey knew or should have known that by asking him to handle the ticket, the clerk was violating county policy. As Judge Stacey acknowledged in his testimony before the panel, Dakota County�s policy of continuing certain petty misdemeanors for dismissal is not well-known among members of the public. Under these circumstances, the continuance for dismissal of a ticket issued to a family member of a court employee at the request of the court employee, in chambers rather than in open court, in violation of an express policy, weakens public confidence in the integrity and impartiality of the judiciary. In this respect, Judge Stacey�s conduct violated Canons 1 and 2A, Code of Judicial Conduct. 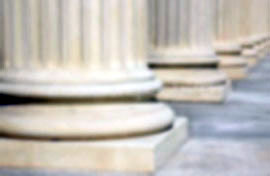 Acknowledging, as we must, the burdens placed on the district courts by the high volume of petty misdemeanor citations, we are nonetheless compelled to note that the better practices for handling such citations include clear procedures and, absent unusual circumstances or the agreement of all parties and counsel, dispositions of disputed citations in open court with the opportunity for prosecutorial input. The board recommended that Judge Stacey be assessed a civil penalty of ,000. In light of Judge Stacey�s commendable decision to bring this matter to the attention of the Board on Judicial Standards, and given that the purpose of a judicial sanction is not to punish but to insure the integrity of the judicial system, we conclude that a monetary penalty is neither necessary nor warranted here. The dissent construes Rule 11(c), Rules of Board on Judicial Standards, to allow the board to substitute its judgment for that of the fact finding panel as to conclusions of law and recommendations for discipline, but not as to findings of fact. But this is not what Rule 11(c) says. By stating specifically that the board can �substitute its judgment for that of the factfinder,� Rule 11(c) clearly indicates that the board can disagree with the panel in its role as fact finder. If Rule 11(c) were intended to grant the board only authority to disagree with the panel�s conclusions of law and recommendations for discipline but not with the panel�s factual findings, as the dissent contends, it would have said so. Also, Rule 11(b) states that �[c]ounsel for the judge and board may submit written objections to the findings.� This would be a pointless exercise if the findings could not be altered after they left the panel. Further, the factual finding of the panel that it was �unclear� whether the clerk identified the driver of the vehicle as her husband�a finding that is pivotal to the dissent�has little basis in the record. The clerk testified that she identified the driver as her husband, showed an insurance card to Judge Stacey and also advised that the required child support had been paid. This testimony by the clerk is not challenged by Judge Stacey. The dissent does not dispute that we are to carefully review the entire record, and when we do so, we conclude that the factual finding so critical to the dissent is not anchored to the record. But ultimately neither the board�s prerogative to disagree with the panel�s factual findings nor the panel�s finding of lack of clarity as to identity is determinative of our decision to impose public discipline here. Our imposition of public discipline on Judge Stacey hinges on our conclusion that Judge Stacey should have known that the ticketed driver was the clerk�s husband, whether or not the clerk identified him as such. The dissent agrees with this conclusion, and also agrees that this behavior violated Canon 2A, Code of Judicial Conduct. Where the dissent and majority part company, however, is on the appropriateness of a public reprimand. Notwithstanding the argument of the dissent for a private warning, our purpose in imposing judicial discipline is to �restore public confidence in the system and its officers.� In re Meira, 426 N.W.2d at 858. We must impose a sanction �designed to announce our recognition that misconduct has occurred, and our resolve that similar conduct by this or other judges will not be condoned in the future.� Id. Because Judge Stacey�s conduct may have created the impression among the public that court employees and their families may use their access to judges to obtain preferential treatment for traffic violations, and despite Judge Stacey�s candor before the panel and board and his commendable conduct in bringing the matter to the attention of the board, we conclude that our obligation to preserve the integrity of the judicial system requires us to issue a public reprimand to Judge Stacey. Based on the foregoing, it is the order and judgment of this court that Judge Rex D. Stacey be, and hereby is, publicly reprimanded. ANDERSON, PAUL H., J. (dissenting). In re Miera, 426 N.W.2d 850, 853 (Minn. 1988) (quoting Weber v. Anderson, 269 N.W.2d 892, 895 (Minn. 1978)). I respectfully dissent. The court publicly reprimands Judge Stacey because it concludes that he either knew or should have known that by asking him to resolve her husband�s traffic ticket, the clerk was violating county policy. I conclude that the evidence is clear and convincing that Judge Stacey should have known that the clerk�s request violated county policy. But I conclude the board failed to prove, by clear and convincing evidence, that Judge Stacey actually knew the clerk�s request violated that policy. There is a significant distinction between actual knowledge and constructive knowledge in this context. Further, I am concerned that when the court publicly reprimands Judge Stacey for what he should have known about this traffic ticket, the court may, at least in part, be heightening the discipline imposed as a consequence of Judge Stacey having candidly and honestly testified about his lack of recollection of the specific facts of this case. At the outset, we are confronted by a conundrum in the Rules of the Board on Judicial Standards. The panel that heard testimony in this matter found �[i]t is unclear whether [the clerk] referred to [the ticketed driver] as her husband.� But the Board on Judicial Standards makes no such finding. Rule 13(f), Rules of Board on Judicial Standards, provides that we are to �review the record of the proceedings on the law and the facts and * * * file a written opinion and judgment directing such disciplinary action as [we] find just and proper, accepting, rejecting or modifying in whole or in part the recommendation of the board.� But the rules do not specify how our review is to proceed. In lawyer discipline proceedings, we uphold a referee�s factual findings and conclusions of law if they have evidentiary support in the record and are not clearly erroneous. In re Pinotti, 585 N.W.2d 55, 62 (Minn. 1998). Deference to a referee in lawyer discipline proceedings is particularly appropriate when the findings are based on a witness�s demeanor, credibility, or sincerity. Id. Accordingly, we reverse findings of fact in lawyer discipline matters only if, �upon review of the entire evidence, [we are] left with the definite and firm conviction that a mistake has been made.� Id. (quoting In re Strid, 551 N.W.2d 212, 215 (Minn. 1996)). In this case, unlike lawyer discipline cases, we received two sets of findings of fact and conclusions of law: those of the three-member fact-finding panel that we appointed, and those of the board. The board�s findings differ from those of the panel on a key aspect of the case that should prove crucial to our ultimate determination of whether Judge Stacey knew or should have known the request violated county policy: whether the clerk explicitly referred to the ticketed driver as her husband. The commission shall make written findings of fact and conclusions of law along with its recommendations for action thereon with respect to the issues of fact and law in the proceedings, or may adopt the findings of the referee, in whole or in part, by reference thereto. Rule R.2 (1978). That is, the rules explicitly allowed the commission to make factual findings different from those of the appointed referee. In contrast, current board rules do not allow the board to conduct its own fact finding. And, current Rule 11(c) provides: �The findings and recommendations and the hearing record shall be promptly reviewed by the board. The board may substitute its judgment for that of the factfinder.� I construe the current rule to allow the board to �substitute its judgment� as to conclusions of law and recommendations for discipline, but not to make findings of fact that differ from those of the fact finding panel, particularly when those findings rely on the credibility of a witness who has testified before the panel but not the board. We have observed that �[t]he clear and convincing standard arises from an appreciation of the gravity of a disciplinary proceeding and the magnitude of the loss to which a disciplined judge is subjected.� In re McDonough, 296 N.W.2d at. 692. For the foregoing reasons, I conclude that our court must adopt the panel�s finding that it is �unclear� whether the clerk explicitly referred to the ticketed driver as her husband. Given this uncertainty, I conclude the board has not proven by the requisite clear and convincing evidence that Judge Stacey knew the clerk�s request violated county policy. That is, I cannot say that on this record, it is �highly probable� that Judge Stacey dismissed the ticket knowing it had been issued to the husband of a county employee. I do, however, believe that the board proved by clear and convincing evidence that Judge Stacey should have known that the ticket belonged to the clerk�s husband and, therefore, should have known that the clerk�s request violated county policy. Even if the clerk did not explicitly refer to the ticketed driver as her husband, the driver�s name appeared on the ticket and on the driving record the clerk printed, and the driver�s last name was the same as the clerk�s. In addition, the clerk testified that she showed Judge Stacey an insurance card to prove that the driver carried insurance. The card itself is not in the record, but the clerk testified that �[w]e�ve always had insurance on our cars.� From that statement, I surmise that the insurance card bore the names of the clerk and her husband, as it typically would when a married couple is insured. Finally, it is significant that the panel found that the clerk told Judge Stacey that the required child support had been paid, but apparently offered no documentation of that fact. If Judge Stacey had not realized from this exchange with the clerk up to this point that the clerk and the driver were related, the clerk�s undocumented representation as to payment of the child support should have aroused enough suspicion for the judge to inquire further how the clerk knew the child support had been paid, and that inquiry should have disclosed the relationship. Having concluded that the board proved only that Judge Stacey should have known that the driver and the clerk were related and the request therefore violated county policy, the question becomes�what is the appropriate discipline to impose? I believe that under these circumstances imposition of a public reprimand is not warranted; rather, the board should have privately warned Judge Stacey and (1) cautioned him to be more careful in the future in handling this type of case; and (2) reviewed with him what procedures he should follow when handling similar matters. In reaching this conclusion, I note particularly that Judge Stacey testified he has no independent recollection of his conversation with the clerk, of the ticket, or of his resolution of the ticket. I find the judge�s testimony believable given the number of traffic tickets judges process on a regular basis, but this honest recounting has put Judge Stacey at a distinct disadvantage because he was unable to contradict anything to which the clerk testified. I also note that, as the court concludes, there is no evidence that Judge Stacey�s resolution of the ticket was inconsistent with the way in which minor traffic offenses are handled by the judges in Dakota County. Given these facts and circumstances, we should not impose public discipline on Judge Stacey. The court may order a criminal action, whether prosecuted upon indictment or complaint, to be dismissed. The court may order dismissal of an action either on its own motion or upon motion of the prosecuting attorney and in furtherance of justice. If the court dismisses an action, the reasons for the dismissal must be set forth in the order and entered upon the minutes. The recommendations of the prosecuting officer in reference to dismissal, with reasons for dismissal, must be stated in writing and filed as a public record with the official files of the case. I believe that it is reasonable to adapt this procedure to the resolution of payables offenses. First, the Dakota County judges who testified in this matter all stated that prosecutors never objected to their resolution of matters without prosecutorial input. It may well be the case that prosecutors in the county do not object to judges resolving cases without prosecutorial input. But the basis for the court�s procedures should be an explicit agreement with prosecutors, not the absence of an objection from them. Second, by resolving charges in reliance even in part on a clerk�s representations, the court�s procedures leave no paper trail by which the factual basis for the judge�s disposition can be traced. No charge should be dismissed or continued without documentation. In this case, that required documentation should have included: proof of insurance, proof of an otherwise clean driving record, and proof that child support had been paid. Further, to create a paper trail, such matters should always be resolved on the record, reciting the documentation provided to justify the resolution of the charge. By resolving matters in chambers, the court creates the very problem discussed by Judge Stacey in his testimony: the appearance of impropriety because not everyone ticketed in the county knows that his or her ticket can be resolved without pleading guilty or going to trial. To avoid this problem, matters should be resolved in open court whenever possible. Finally, while I agree that, under certain circumstances such as those in this case, it is appropriate to discipline a judge who should have known that his or her conduct violated the Canons, I believe that we must be very careful in applying this nebulous standard. Unlike the standard that requires actual knowledge, the should-have-known standard is more subjective and may be difficult for us to apply. Hence, this standard has the potential to sweep too broadly. Further, I see as the real problem in this case the Dakota County court�s standard procedures for disposition of minor traffic tickets. These procedures allowed, and may even have facilitated, Judge Stacey�s case to unfold as it has. I believe it would be most appropriate here for us to vigorously condemn the court procedures but show more understanding for the judge who, by following those procedures, committed an act that violated the Canons. I join in the dissent of Justice Paul H. Anderson.